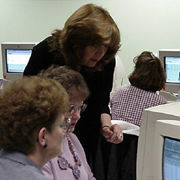 Excel Workshop for Teachers is the only Excel tutorial for teachers that has simultaneous and complete coverage of both the Macintosh and Windows versions of Excel 97, 98, 2000 and 2001. Whether you are a teacher trainer dealing with different versions and/or platforms or just looking to understand what's new in 2000 or 2001, you will appreciate this book's seamless integration and focus on all the key differences. Macintosh: LC 475 or better / 25 MHz / 5 MB RAM (16 MB for PowerPC), System 7.1 or higher, 13" 256-color monitor / 640x480 resolution, CD-ROM or DVD-ROM, Excel 98, 2000, or 2001 program (not included). Windows: 386SX CPU or higher / 16 Mhz / 8 MB RAM /, Windows 95 or higher, 13" VGA monitor / 640x480 / 256 colors, CD-ROM or DVD-ROM, Excel 97, 2000, or 2001 program (not included).